Labeled "the godfather of world music" by George Harrison, Shankar helped millions of classical, jazz and rock lovers discover the centuries-old traditions of Indian music. Indian musician and sitar maestro Pandit Ravi Shankar, 92, performs during a concert in Bangalore, India. Shankar, the sitar virtuoso who became a hippie musical icon of the 1960s after hobnobbing with the Beatles died Tuesday, Dec. 11, 2012. He was 92. With an instrument perplexing to most Westerners, Ravi Shankar helped connect the world through music. The sitar virtuoso hobnobbed with the Beatles, became a hippie musical icon and spearheaded the first rock benefit concert as he introduced traditional Indian ragas to Western audiences over a nearly century-long career. From George Harrison to John Coltrane, from Yehudi Menuhin to David Crosby, his connections reflected music's universality, though a gap persisted between Shankar and many Western fans. Sometimes they mistook tuning for tunes, while he stood aghast at displays like Jimi Hendrix's burning guitar. Shankar died Tuesday at age 92. A statement on his website said he died in San Diego, near his Southern California home. The musician's foundation issued a statement saying that he had suffered upper respiratory and heart problems and had undergone heart-valve replacement surgery last week. Indian Prime Minister Manmohan Singh also confirmed Shankar's death and called him a "national treasure." Labeled "the godfather of world music" by Harrison, Shankar helped millions of classical, jazz and rock lovers discover the centuries-old traditions of Indian music. "He was legend of legends," Shivkumar Sharma, a noted santoor player who performed with Shankar, told Indian media. "Indian classical was not at all known in the Western world. He was the musician who had that training ... the ability to communicate with the Western audience." He also pioneered the concept of the rock benefit with the 1971 Concert For Bangladesh. To later generations, he was known as the estranged father of popular American singer Norah Jones. His last musical performance was with his other daughter, sitarist Anoushka Shankar Wright, on Nov. 4 in Long Beach, California; his foundation said it was to celebrate his 10th decade of creating music. 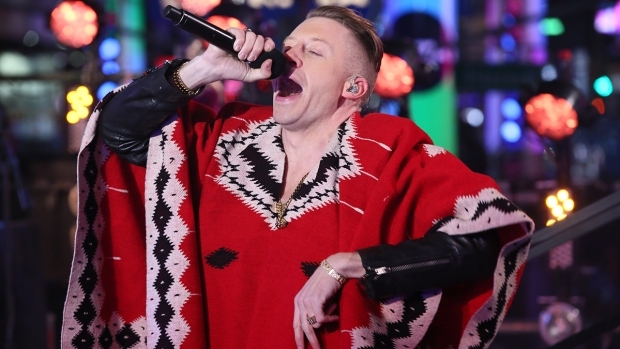 The multiple Grammy winner learned that he had again been nominated for the award the night before his surgery. "It's one of the biggest losses for the music world," said Kartic Seshadri, a Shankar protege, sitar virtuoso and music professor at the University of California, San Diego. "There's nothing more to be said." As early as the 1950s, Shankar began collaborating with and teaching some of the greats of Western music, including violinist Menuhin and jazz saxophonist Coltrane. He played well-received shows in concert halls in Europe and the United States, but faced a constant struggle to bridge the musical gap between the West and the East. Describing an early Shankar tour in 1957, Time magazine said. "U.S. audiences were receptive but occasionally puzzled." His close relationship with Harrison, the Beatles lead guitarist, shot Shankar to global stardom in the 1960s. Harrison had grown fascinated with the sitar, a long-necked string instrument that uses a bulbous gourd for its resonating chamber and resembles a giant lute. He played the instrument, with a Western tuning, on the song "Norwegian Wood," but soon sought out Shankar, already a musical icon in India, to teach him to play it properly. The pair spent weeks together, starting the lessons at Harrison's house in England and then moving to a houseboat in Kashmir and later to California. Gaining confidence with the complex instrument, Harrison recorded the Indian-inspired song "Within You Without You" on the Beatles' "Sgt. Pepper's Lonely Hearts Club Band," helping spark the raga-rock phase of 60s music and drawing increasing attention to Shankar and his work. Shankar's popularity exploded, and he soon found himself playing on bills with some of the top rock musicians of the era. He played a four-hour set at the Monterey Pop Festival and the opening day of Woodstock. Though the audience for his music had hugely expanded, Shankar, a serious, disciplined traditionalist who had played Carnegie Hall, chafed against the drug use and rebelliousness of the hippie culture. "I was shocked to see people dressing so flamboyantly. They were all stoned. To me, it was a new world," Shankar told Rolling Stone of the Monterey festival. While he enjoyed Otis Redding and the Mamas and the Papas at the festival, he was horrified when Hendrix lit his guitar on fire. In 1971, moved by the plight of millions of refugees fleeing into India to escape the war in Bangladesh, Shankar reached out to Harrison to see what they could do to help. In what Shankar later described as "one of the most moving and intense musical experiences of the century," the pair organized two benefit concerts at Madison Square Garden that included Eric Clapton, Bob Dylan and Ringo Starr. The concert, which spawned an album and a film, raised millions of dollars for UNICEF and inspired other rock benefits, including the 1985 Live Aid concert to raise funds for famine relief in Ethiopia and the 2010 Hope For Haiti Now telethon. Ravindra Shankar Chowdhury was born April 7, 1920, in the Indian city of Varanasi. At the age of 10, he moved to Paris to join the world famous dance troupe of his brother Uday. Over the next eight years, Shankar traveled with the troupe across Europe, America and Asia, and later credited his early immersion in foreign cultures with making him such an effective ambassador for Indian music. During one tour, renowned musician Baba Allaudin Khan joined the troupe, took Shankar under his wing and eventually became his teacher through 7 1/2 years of isolated, rigorous study of the sitar. "Khan told me you have to leave everything else and do one thing properly," Shankar told The Associated Press. In the 1950s, Shankar began gaining fame throughout India. He held the influential position of music director for All India Radio in New Delhi and wrote the scores for several popular films. He began writing compositions for orchestras, blending clarinets and other foreign instruments into traditional Indian music. And he became a de facto tutor for Westerners fascinated by India's musical traditions. He gave lessons to Coltrane, who named his son Ravi in Shankar's honor, and became close friends with Menuhin, recording the acclaimed "West Meets East" album with him. He also collaborated with flutist Jean Pierre Rampal, composer Philip Glass and conductors Andre Previn and Zubin Mehta. 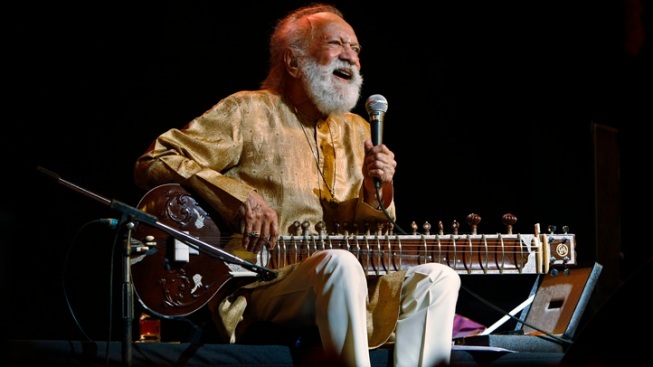 "Any player on any instrument with any ears would be deeply moved by Ravi Shankar. If you love music, it would be impossible not to be," singer Crosby, whose band The Byrds was inspired by Shankar's music, said in the book "The Dawn of Indian Music in the West: Bhairavi." Shankar's personal life, however, was more complex. His 1941 marriage to Baba Allaudin Khan's daughter, Annapurna Devi, ended in divorce. Though he had a decades-long relationship with dancer Kamala Shastri that ended in 1981, he had relationships with several other women in the 1970s. In 1979, he fathered Norah Jones with New York concert promoter Sue Jones, and in 1981, Sukanya Rajan, who played the tanpura at his concerts, gave birth to his daughter Anoushka. He grew estranged from Sue Jones in the 80s and didn't see Norah for a decade, though they later re-established contact. He married Rajan in 1989 and trained young Anoushka as his heir on the sitar. In recent years, father and daughter toured the world together. When Jones shot to stardom and won five Grammy awards in 2003, Anoushka Shankar was nominated for a Grammy of her own. Shankar himself won three Grammy awards and was nominated for an Oscar for his musical score for the movie "Gandhi." His album "The Living Room Sessions, Part 1" earned him his latest Grammy nomination, for best world music album. Despite his fame, numerous albums and decades of world tours, Shankar's music remained a riddle to many Western ears. Shankar was amused after he and colleague Ustad Ali Akbar Khan were greeted with admiring applause when they opened the Concert for Bangladesh by twanging their sitar and sarod for a minute and a half. "If you like our tuning so much, I hope you will enjoy the playing more," he told the confused crowd, and then launched into his set.